Lucy Leach (1789-1871) was born in Thorne Coffin on November 27 1789 and baptised on Christmas Day. She was the daughter of John Leach (1740-1806) and Mary Ricketson ( - 1810). In 1810 the will of Mary Leach of Thorne Coffin, the widow of John Leach leaves bequests to her children: John; Maria Green; Sarah [or Sabina]; Lucy; Tabitha Moore (buried December 19 1809); Mary and 3 Andrews grandchildren: John Leach, George and Mary. Lucy Leach married John Penny (c.1755-1819), a farmer, in 1813. John was the widower of Ann Allen (married 1788 in Pylle, died Charlton Mackrell). John and Lucy Penny had three known children (born in Charlton Mackrell): Ann Leach Penny (1814-1889), Hugh Penny (1815-1844) and Lucy Penny (1817-1857). In 1830 Lucy Penny was a grocer and draper in Somerton (William Robson & Company Directory). In the 1841 census Lucy was shown as keeping a draper/grocer’s shop in Broad Street, Somerton and subsequently describes herself as a proprietor of houses. a good and commodious DWELLING HOUSE attached. carried on for many years to advantage. address to SAMUEL BARNARD, Somerton. Lucy's son Hugh was a schoolmaster in New Street, Somerton and died unmarried. Lucy's daughter Lucy married Samuel Barnard (1812-1869) from Somerton in 1852. 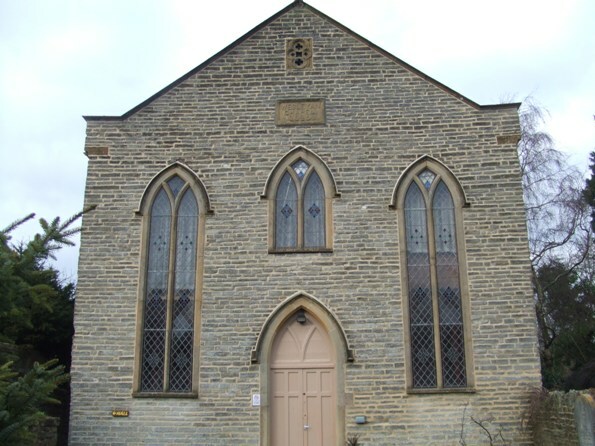 Samuel was a trustee of the Wesleyan Methodist chapel and an active preacher and class leader. He was a widower and son of Indoe Barnard (c. 1780-1856) and Jane Barnard (c.1784-1858). Samuel Barnard had previously married Mary Peddle (1803-1851) in 1847. After Lucy's death he married Susan Wescombe (b.1820) in Taunton in 1858. She was the daughter of William and Sarah Wescombe of North Curry. Through her daughter Ann's marriage to Walter Walter, Lucy has descendants with surnames including: Walter, Locke, Hume, Heppell, Sproat, Hagerman, Welch, Seden, Newbury, Hayes, Storey, Aldridge, and Speck. This list only takes in her known great grandchildren, spanning many parts of the world including: North Shields, Kansas, Peterstone-super-Ely, Glastonbury, Portsmouth and Slough! Her oldest grandson died in the American Civil War aged 23, her youngest during the Second World War aged 86. A true 'character' - her will favouring her granddaughters over grandsons seems somewhat ahead of its time!